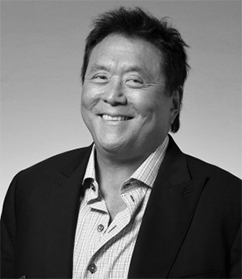 Robert Kiyosaki is an American businessman and author “Rich Dad Poor Dad”—the #1 personal finance book of all time—Robert Kiyosaki has challenged and changed the way tens of millions of people around the world think about money. He is an entrepreneur, educator, and investor who believes that each of us has the power to makes changes in our lives, take control of our financial future, and live the rich life we deserve. 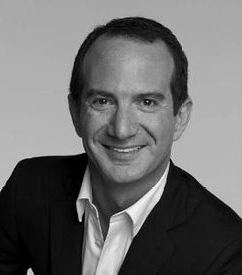 With perspectives on money and investing that often contradict conventional wisdom, Robert has earned an international reputation for straight talk, irreverence, and courage and has become a passionate and outspoken advocate for financial education. Robert’s most recent books—”Why the Rich Are Getting Richer and More Important Than Money”—were published in the spring of this year to mark the 20th Anniversary of the 1997 release of “Rich Dad Poor Dad.” That book and its messages, viewed around the world as a classic in the personal finance arena, have stood the test of time. “Why the Rich Are Getting Richer,” released two decades after the international blockbuster bestseller “Rich Dad Poor Dad,” is positioned as Rich Dad Graduate School. Robert has also co-authored two books with Donald Trump, prior to his successful bid for the White House and election as President of the United States.